Ed Dolanski is President of U.S. Government Services for Boeing Global Services. 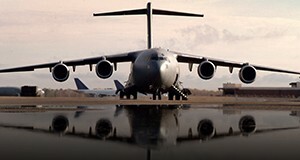 As the largest performance-based logistics contractor for the U.S. Department of Defense, Government Services is an industry leader in sustainment solutions for Boeing and non-Boeing platforms. As the U.S. military reprioritizes readiness and U.S. policy leaders grapple with enduring challenges around the globe and competing needs at home, it’s natural to ask whether resources are being allocated as efficiently as possible. In the area of defense spending, the Pentagon needs flexibility to meet emerging challenges, and that means taking a hard look at resources across the entire budget, including those allocated for operation and maintenance. The fundamental question is: How can the U.S. military improve its readiness rates without breaking the bank? The answer may be a fresh look at a long-standing contracting vehicle known as Performance-Based Logistics. For the better part of two decades, the DoD has used this type of contract to guarantee performance and protect the defense budget from sustainment-cost uncertainty. While generally viewed as a net positive to the U.S. government, it’s fair for the Pentagon’s procurement experts to scrutinize these contracts to see whether they remain the best bet — and best value — for maintaining mission readiness. Think of performance-based life-cycle support as a public-private partnership. Sustainment providers bring their expertise and economies of scale to take on the elements of life-cycle support that could otherwise drain resources and manpower from military partners. This frees up resources for emerging needs, because the cost of sustainment is locked in. The C-17 Globemaster III Integrated Sustainment Program (GISP) is an example of a holistic public-private partnership that is highly effective on long-established fleets. The contract includes field services, engine management, supply chain management, modifications and maintenance, and sustaining engineering — all integrated for maximum efficiency. Since 2004, this partnership has resulted in a 40 percent reduction in support dollars per aircraft while maintaining a best-in-class mission capability rate of 84 percent or better. Take another example: a partnership to guarantee cost and availability of blades for the U.S. Army’s Chinook fleet. The agreement guaranteed cost savings of up to 19 percent over its life, but perhaps of even greater value is what the contract offered in terms of readiness and flexibility. Consider what happened when aircraft deployed in theater sustained significant hail damage. Under the terms of the agreement, the sustainment provider — Boeing — was able to transfer domestic assets to backfill depleted stock in theater, place orders for new spares, and increase industrial base build and overhaul rates within 48 hours of the event. Under a typical transactional approach, contracting for analysis, evaluating the blades, and executing the repair could have been a multi-year surge effort. Instead, it was addressed in real time, and all backlog was mitigated within 12 months. To be sure, there are cases when individual elements of sustainment may be best handled under more traditional contracting structures or divided among services providers. A platform that is just reaching a critical mass of in-service aircraft, for example, doesn’t carry decades of lessons learned like the C-17 with the aggregated GISP. Inviting multiple sustainment providers to compete for and bring innovative solutions to product life-cycle support could drive up performance and drive down cost at this stage of a platform’s maturity. As the U.S. government continues driving increased readiness levels at the best value, a contract that guarantees results and keeps budgets flexible by preventing sustainment cost surges is a winning approach.